Numbers are the key to understanding the nature of the universe which runs on mathematical harmony. Throughout history, numbers have played a critical role in our daily affairs, in religion, superstition, mythology and musical harmony (since harmony is related to simple whole-number ratios). Contemplate this symbol and observe how simple, yet complex it is. It has many layers of meaning. This ancient symbol, called the Tetractys by the Greek Philosopher and mathematician Pythagoras, was conceptualized around 500 B.C. 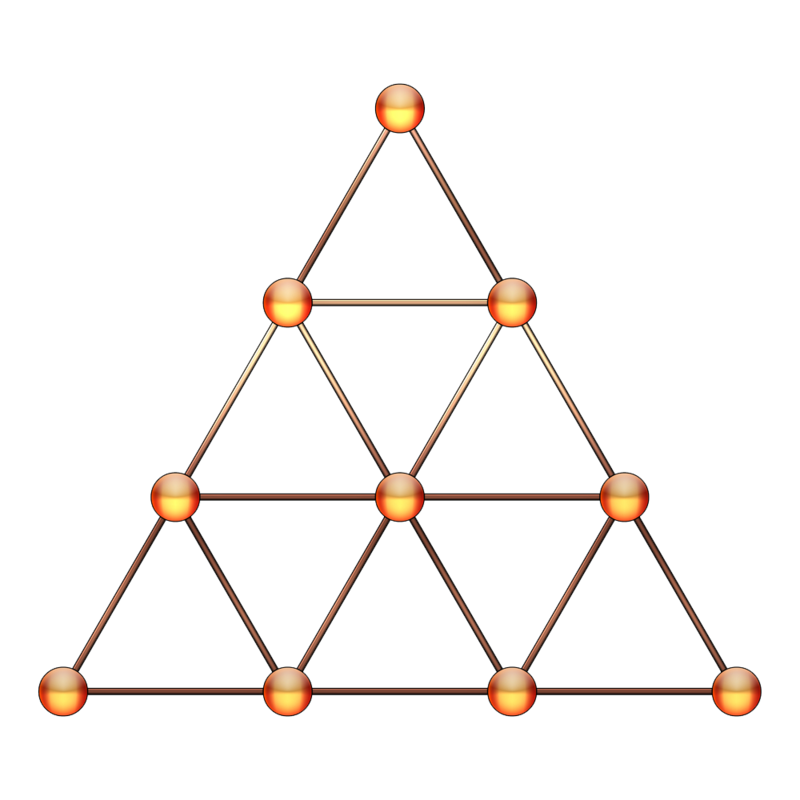 and appears as a triangular figure consisting of 10 points arranged in 4 rows rising upwards. According to Pythagoras, the Tetractys was the symbol of the musical, arithmetic and geometric ratios upon which the universe was built. This mystical symbol was very important to the followers of Pythagoras who believed that all numbers were sacred and holy. Each number corresponded to certain shapes that occurred in nature. According to Pythagoras, everything in the universe followed specific mathematical laws and the universe was created out of the geometrical relationships between numbers and these relationships constituted the true basis of reality. The Pythagoreans believed that the Tetractys was an illustration of existence, of the way everything is structured in the universe. Meditating upon the Tetractys symbol is believed to signify the desire to seek Divine understanding and a yearning to attain a close relationship with God. The ancient Pythagoreans used to swear upon the Tetractys in their hopes of attaining purity of mind and harnessing its power. At Diamond Integrative Health, we focus on numbers in an effort to create harmony within your body so that you can attain “triple threat” status… look good, feel good, and be internally healthy as per your lab test numbers, your discipline and your balanced mindset.